This anthology is a collection of comix by currently incarcerated queer prisoners from across the U.S. The art was all drawn using only supplies that could be purchased through penitentiary commissary stores and the stories express what life is like for LGBTQ people behind bars. All profits from this comic go back to the contributors or are donated to prison abolition organizations. 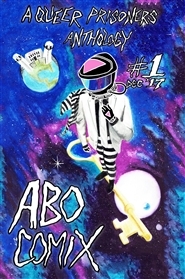 ABO Comix Edition II is the sequel anthology to our first comic book of stories created by queer and trans prisoners detailing life on the inside. We are featuring comics from many of our Edition I contributors, as well as new artists. 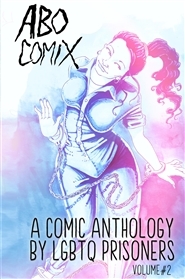 The ABO Comix anthology is a raw, authentic look into prison life from a queer perspective. This book features accomplished cartoonists and first time doodlers in an effort to amplify the voices of all LGBTQ prisoners we are able. Proceeds from this anthology go back to the contributors so that they can access commissary & gender affirming items, healthcare and legal support.